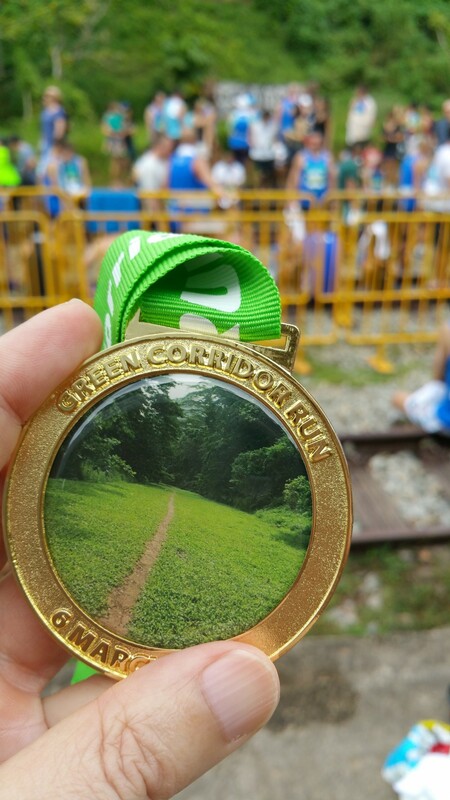 Race Review: Green Corridor Run 2016 (by Kenjoe) | JustRunLah! 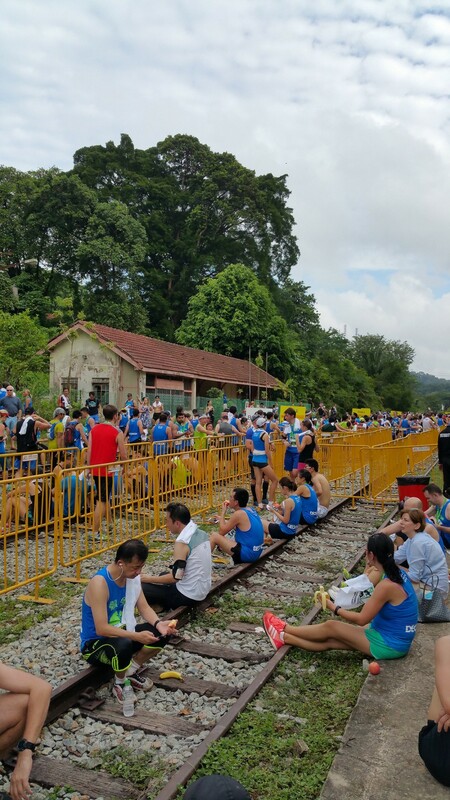 I signed up for the 10.5 km race hoping to enjoy the trail yet another time this year (since Compressport Rail Corridor Run on Jan 31st). 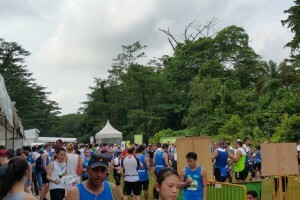 I was not alone as about 11000 runners signed up and from some 82 nationalities. 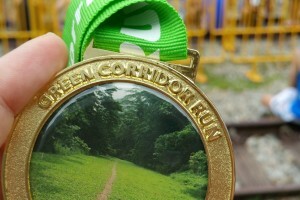 I was hoping also to improve over last year’s trail run’s PB. I had attended a fairly heavy wedding dinner the night before and so it was late when I finally got to sleep around 2 am. Though I set the alarm at 5.50 am, I woke up at 5.15 am. 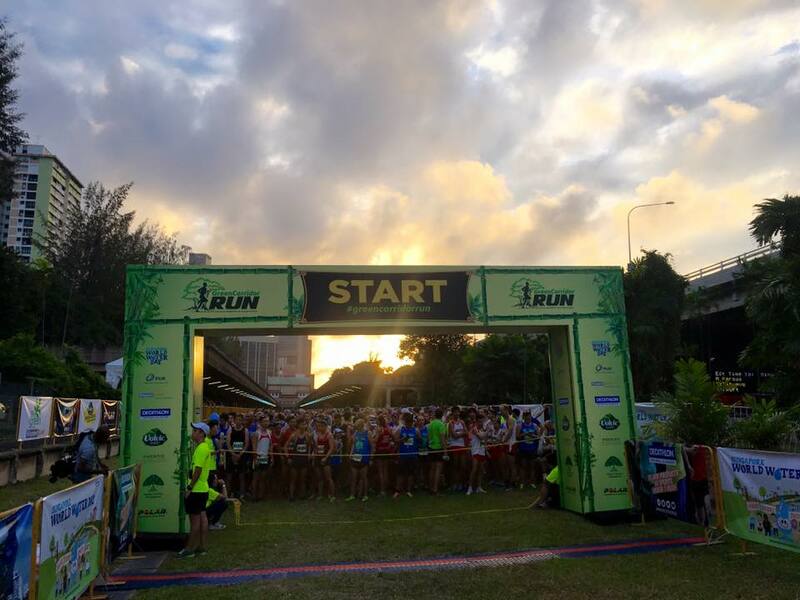 I had no idea what a heavy dinner nor the short hours of sleep would do to my running but I tried to keep to the same routine before the race. Peanut butter spread on bread (reduced to one slice because I thought I had enough food from last night still), downed with coffee, cleared the bowels, brushed my teeth and got into my running attire. 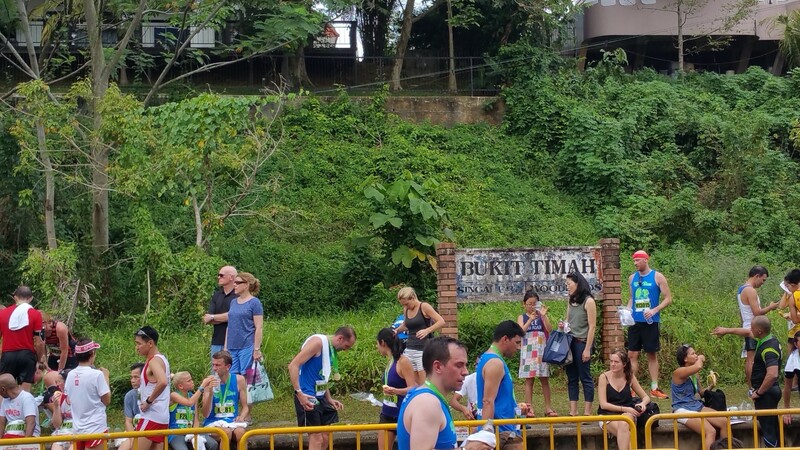 I drove to a car park near Jalan Bukit Merah Road, took the public bus and then walked a few hundred metres to the Outram MRT to catch the shuttle bus provided. 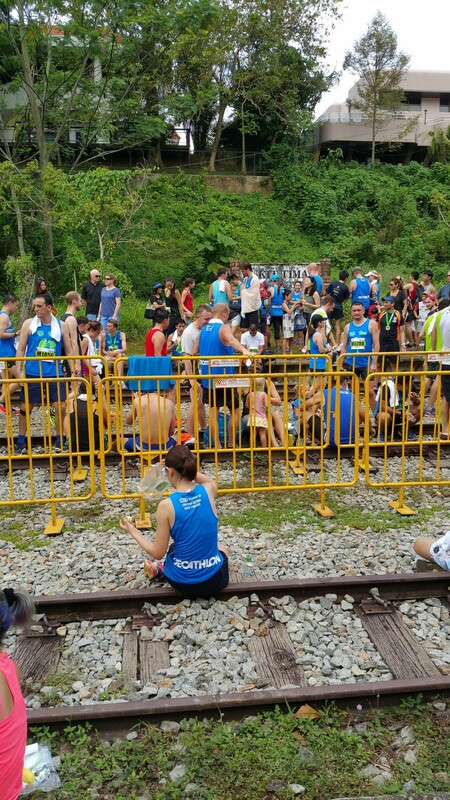 I had been experiencing long queues at previous races this year (see my earlier blogs) and so had taken this strategy for this race, compromising between public and own transport. It worked. 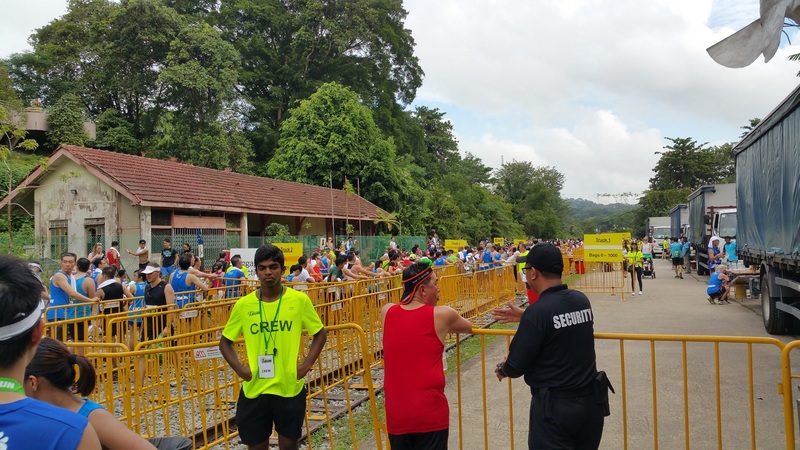 No queue at the shuttle, no queue at the bag deposit and I didn’t wait long at the toilet stations for the last relief before the race. Soon I was in Wave 1 and waited for several minutes. But it was better than being late. 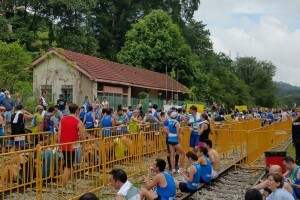 The Senior Minister of State (Amy Khor) was there to reiterate the theme of the race ‘Every drop counts’ in her speech. The crowd cheered and clapped when she ended her speech as they were impatient to get started. 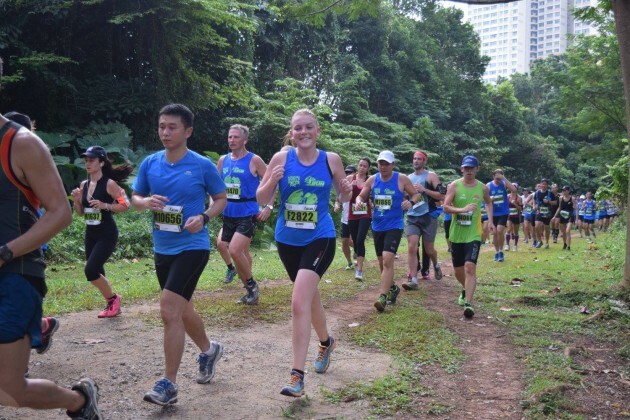 She then flagged off the race on the count of 5. 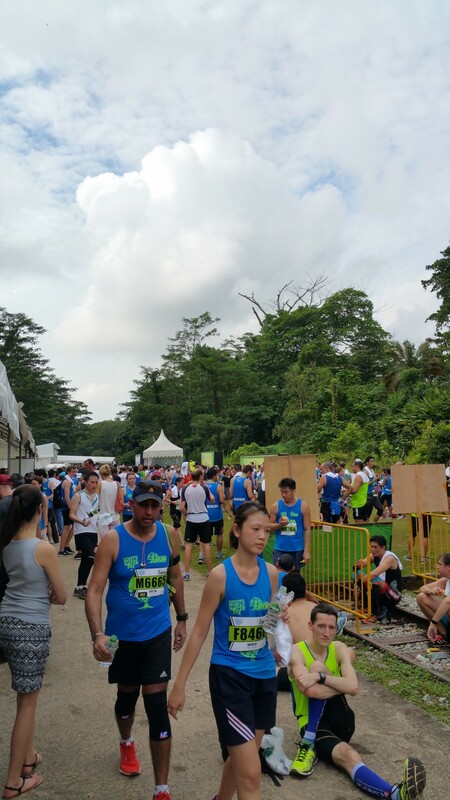 Last year, I was in subsequent later waves and it became a very hot and humid, though scenic run. This year, the sky looked calm and weather held well, a perfect day for a good run along the nice trail one last time. I was also prepared this time, wearing a cap to shield myself from the glaring sun if it came on. 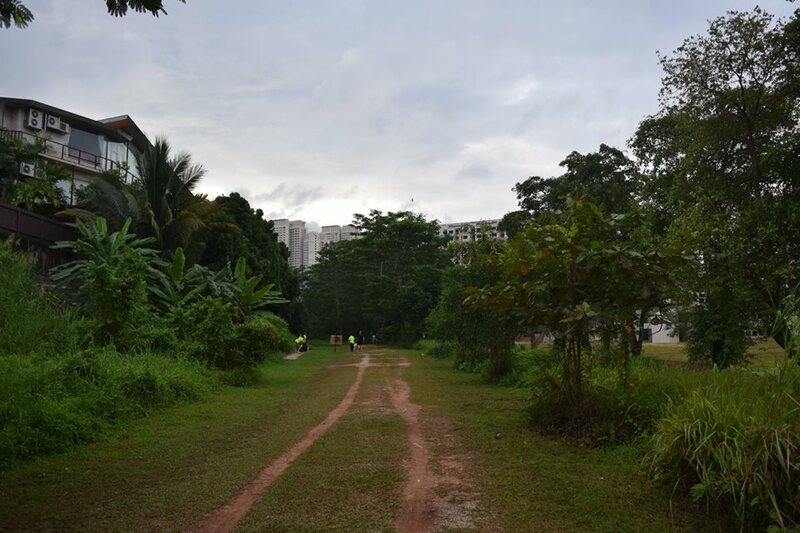 After 2 km, a dull pain came on my left leg as usual. This had been happening the last couple of weeks or so, but stopped when I slowed down or stopped during my regular morning runs. This time I ignored the pain and it disappeared after a few hundred metres. 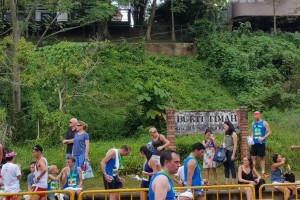 I noticed the course was well marked out after 2 km at every half km. 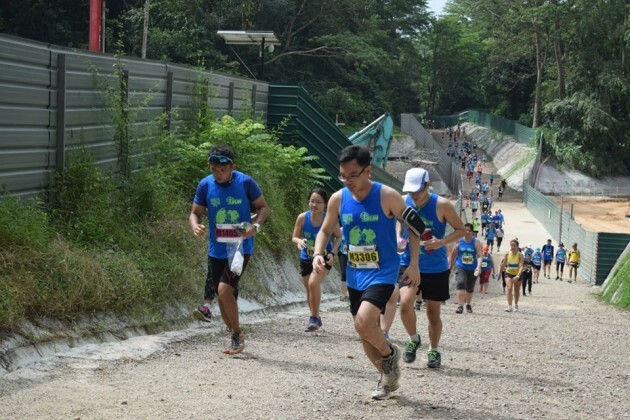 At about 3 km, I started to feel a piece of small pebble that got into my left shoe. I thought this was inevitable as there were stretches with loose pebbles and stones. I shouldered on, hoping it would not go under my foot. After a short distance, it seemed to disappear. Then it came back near the back of the foot. I carried on running and soon I was lucky, as it seemed to have flown out of my shoe as the discomfort disappeared. Then I got into a good rhythm and enjoyed the run, scenery and weather, though there were the occasional trips. At one point, I even became the stabilizer for someone who tripped behind me and steadying herself with a hand onto my back. Always happy to be of service so I said ‘It’s Ok’ as she apologized, and I continued to run. 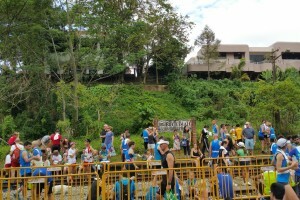 At the published hydration stops, water was provided for runners. They were adequate for me though some did wish for the electrolytes drinks. 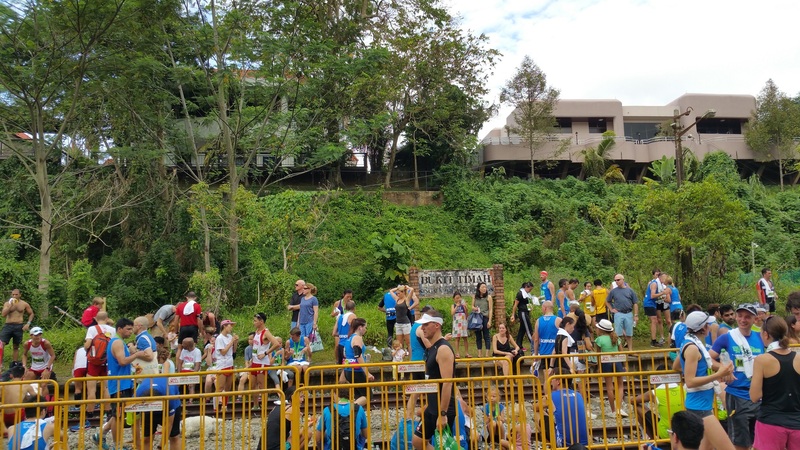 I enjoyed the run which ended at the defunct Bukit Timah Station and the organizers continued to be as efficient post-race, so we got the results the day after. (I don’t run with any gadgets so I don’t normally know the exact timing immediately after the race.) 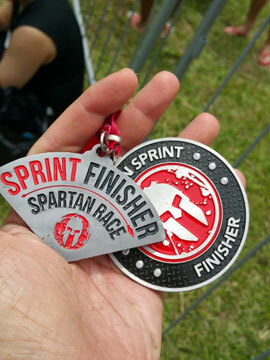 I was happy to beat my PB by slightly more than 2 minutes at 1:10:41 this time. Not fast by any standard but I was happy since this was just my second year into running. 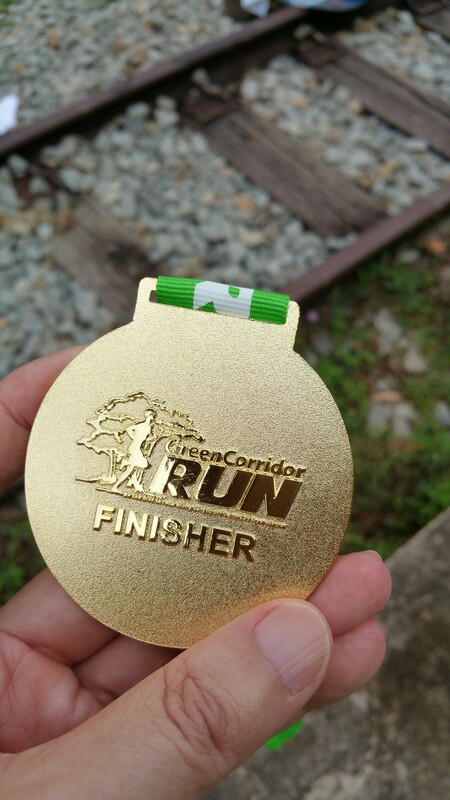 It was a good 17 minutes over the last one in January though I was recovering from a cold then and also the trail was very much more muddy due to the frequent rainfalls then. 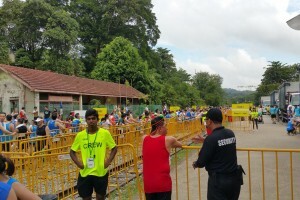 At the finishing point, runners collected their finisher medals, towel, an apple or banana and a bottle of water or two. 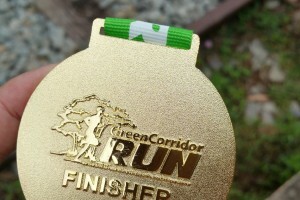 Yet another good run – my fourth one this year.